You are here: Home » Chevelle Build » Now Live – Sponsorship Fastlane: My Online Course Teaching the Straight and Narrow Path to Obtaining Sponsorship! The Chevelle Sponsors in All Their Glory! 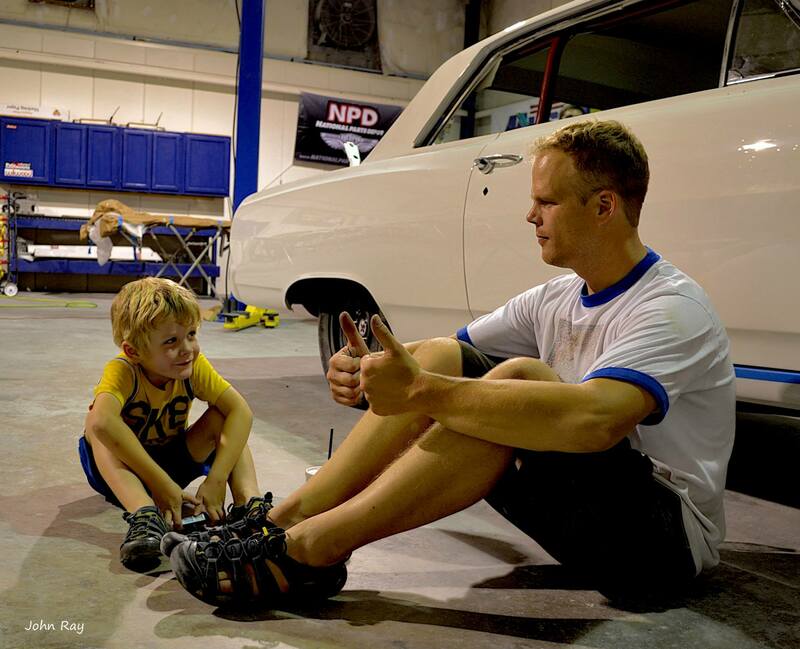 This picture was taken on the floor of the 2013 SEMA Show. Well, as I mentioned in my blog several months ago, for the past three months I’ve been working on creating my own online course to teach people the methods I used in obtaining sponsorship for my Chevelle’s massive 3-year build that culminated in it’s debut at SEMA 2013. I’m pleased to announce at long last it is finally done! I am really proud of it. I genuinely put my heart and soul into it. It’s took 2 more months to make than I thought it would, but it’s finally ready. The course is called Sponsorship Fastlane, and within it are all of the lessons I could think of that I wish I’d had learned, presented in the order that I would have needed to learn them. The entire course is video based and comes with downloadable sample sponsorship proposals documents. 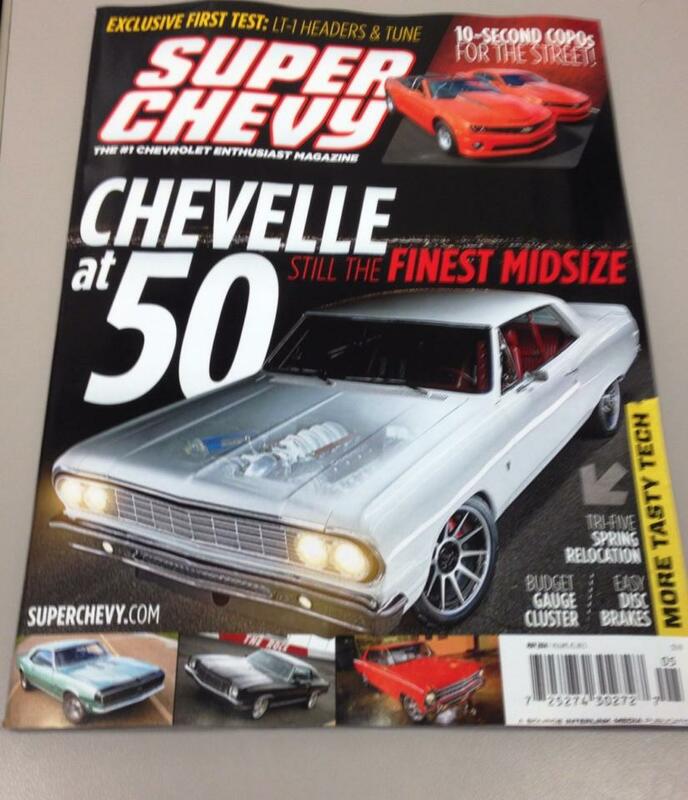 The Chevelle on the May 2014 cover of Super Chevy magazine! If you’ve been a listener of mine for a long time, a reader, or just a causal stalker, you know all of the miracles that happened to bring that car together. What I learned though, is that miracles are sometimes just hard work and diligence rewarded, and as such we were able to secure over 20 sponsors to the project, building a 6-figure car on a 5-figure budget. Without sponsorship participation, it wouldn’t have been financially possible. Without the commitment to complete the project no matter what, it would have been a disaster. But, adding the two together, made it amazing. Now, truth be told, I openly admit that it’s unlikely anyone else will receive a 100% donated labor build as I did from Jeff Allison and the (nearly 100%) gift from Street Metal Concepts. I literally had lighting strike twice there. For most people that build a car, they’ll be providing the labor themselves. BUT, I definitely believe that people can gain the same sponsorship path to parts and promotional support like I did. Why? Because I’ve learned through this experience that it’s all in the preparation and execution of how you go about it. This was my first build of this scope. I approached if with zero guidance, and the only path I knew how to go was that of a formal project plan/proposal route, which was what I was accustomed to from my days in corporate engineering. I assumed everyone else in the industry also made sponsorship proposals, pre-call intros, set deliverables, and the reported back. I really did. It wasn’t until after SEMA when I started getting asked by people how I did it – people I really look up to – that I thought I may have found something special. After that, I started connecting the dots. I knew others that had obtained sponsorship already, so I asked them how they had done it. The more people and questions I asked, the more the pattern I had found became clear: the first step was ALWAYS that someone was Sponsor Worthy. I knew why I was sponsor worthy already by having a media business, and it didn’t take much to point to other leaders, be they shop owners, racers, or the like, and determine how they had become sponsor worthy as well. I mapped out the different angles that had worked, found the pattern, and wrapped the entire course around it. But…..what I have found is that while sponsorship is great – it’s the RELATIONSHIPS that you gain from it that are far more valuable. 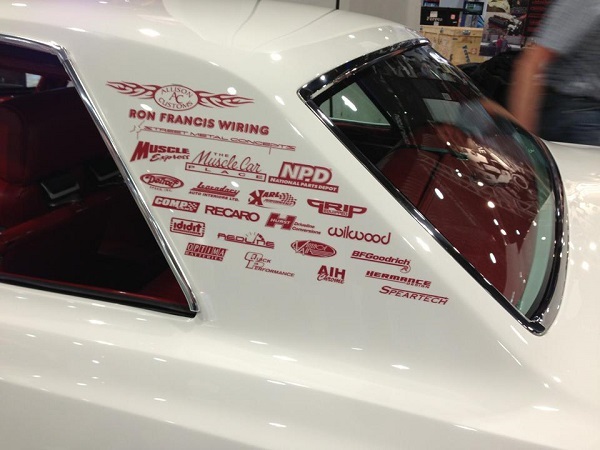 I have had more contacts – since SEMA – with Sponsoring companies that I needed more help from than you’ll ever want to know about, and each time it was just a phone call or e-mail to make it happen. No questions asked. Why? Because they trusted me to do the right thing. I’d already proved I’d darn near kill myself to live up to my word. My son Dallas and I on our 11-day road trip. We drove from Iowa, picked up the Chevelle in central Florida, took it to Orlando to Street Metal Concepts, worked for a day straight, then towed it to Allison Customs in New Mexico. Then we drove home. Then we slept. In that order. This photo was taken by photographer John Ray while the car was at Street Metal Concepts. With all of that said, for a number of reasons I nearly dropped putting this altogether. Once I started to work on it, it became overwhelming. It took 3 times longer than I had promised it would. I got lost in the forest of software. I dreaded it, at times. Most scary though was that trusted friends cautioned me that it would be a waste of effort, and that teaching people to become sponsor worthy was unteachable. I was told that Sponsoring Companies would only want to work with established people that wouldn’t need sponsorship anyway (financially at least). Others said in complete honesty (and in trying to help me) that car guys would rather buy a $5000 rear end than spend a few bucks on a course that could teach them lessons for a lifetime. And you know what? For 90% of the people out there, they’re absolutely right. But I don’t fit in the 90%. I’m goofy. I fit in the 10%. This course is for those of you that do as well. So, in the end, I decided to make this thing anyway. This if for those 10% of you out there that that are dreamers, doers, and that believe nothing is truly impossible if you’re willing to chase it. I made this for you and I hope that it helps you chase your goals and dreams like it helped me. Below are the segments from the Sales Page that I wanted to show you here, as long as a little overview video of the course. If you’re interested to learn more or to sign up for yourself just visit SponsorshipFastlane.com. The entire course is available for $99 as a one-time purchase, and comes with a no questions asked 10-day money back guarantee. –Show and Race Car owners, racing drivers, and semi-pro and pro athletes. –People looking to build their personal brand. –People who realize the real benefits of sponsorship aren’t just freebies and discounts: it’s the people you meet and experiences it gives you! –People who thrive on honoring their commitments and love giving back ten times more than they receive! –People who aren’t afraid to chase their dream and who will work like crazy to achieve it! –How to become sponsor worthy – no matter where you are starting from. –How to prime the media….to help showcase you and/or your car! –How to create an AMAZING professional sponsorship proposal, complete with objectives and DELIVERABLES. –How to select, contact, and follow up with target sponsors! –The big difference between sponsorship and advertising, and how understanding that will separate you from the crowd! –The types of margins most sponsors can give on parts and discounts. –The true realities of obtaining and keeping sponsors: it’s not for the faint of heart, it’s not easy, but it’s worth it!